Thinking Beyond Revenue, our Equation to Happiness. There is a saying, “don’t cry over anything that cannot cry back.” It essentially means, do not place an emphasis on material possessions because they do not matter more than non-material things. Compassion, care and genuine companionship for the elderly are more rewarding than fancy cars, houses or boats. Many people believe this, while many others do not. A person’s true response to this may be best understood in critical situations. There was once a story of a sinking boat containing several very expensive jet planes. Instead of attempting to save a single multi-million dollar object, the top priority was to save the few people on board. To us, this seems like common sense. Saving the people has a reward that cannot be purchased with money, cannot be achieved through collecting a mass of fancy possessions. We believe that you understand, striving to provide for the best elder care services gives us an emotional reward greater than money. While some companies strive for revenue and profits, we want to set a good example for the affordable hospices or geriatric providers of the world. We believe that money can take a higher level of satisfaction out of some things in life, which is why we strive to be the option for non-profit elder care in your community by connecting volunteers helping elders. By being affiliated with our program, it means that you understand the greater rewards, seeing past the immediate financial or material gains. 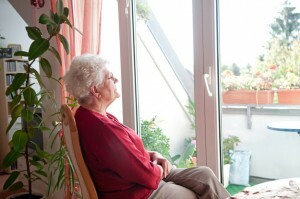 Our non-profit organization connects the elderly with people desiring to help them. At this time, the people seeking assistance using the Elder Helpers service are required to contact volunteers by phone. We believe that this is the best method, because it is very personal, but sometimes those calling can have a difficult time finding what to say. It is very important to stay relaxed and friendly. When we speak with others, our own emotions tend to be reflected in the person we are speaking with. They react to how we are behaving around them, so just be calm and be yourself like you are calling a distant friend. 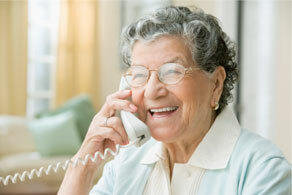 Do not get discouraged when contacting caregivers if you do not get an immediate response, give them a few days. Because volunteers are contacted by phone, some people are not available at all times, may have disconnected phone numbers or other issues. We strive to maintain an accurate volunteer database for subscribers. Remember that our volunteers are safe and have background screenings. They have joined our service because they truly desire to make a difference in their community. It is of the utmost importance of our organization to make you happy, healthy and above all, safe. Are you interested in assisting an elder near you? Click the following link to volunteer for the elderly in your community.